Pale yellow straw color. Aromas and flavors of dried pineapple, lychee preserve, banana gelatin, and dried flowers with an bright, fruity medium body and an interesting, medium-long finish conveying overtones of dried wildflowers, vanilla creme Anglaise, and orange creamsicle with fine, coating tannins and moderate oak flavor. A fruit dominated Gewürz for sunny days. Bottom Line: A fruit dominated Gewürz for sunny days. 84 • Alexander Valley Vineyards 2014 Wetzel Family Estate, Chardonnay, Alexander Valley 14% (USA) $18.00. 83 • Alexander Valley Vineyards 2013 "Alexander School" Reserve, Chardonnay, Alexander Valley 14.3% (USA) $45.00. 91 • Alexander Valley Vineyards 2015 Estate Grown and Bottled, Chardonnay, Alexander Valley 14% (USA) $18.00. 90 • Alexander Valley Vineyards 2016 Dry Rosé of Sangiovese, Sonoma County 13.2% (USA) $15.00. 87 • Alexander Valley Vineyards 2016 Gewürz, Gewurztraminer, Mendocino County 13% (USA) $12.00. 88 • Alexander Valley Vineyards 2015 Estate, Merlot, Alexander Valley 14% (USA) $20.00. 91 • Alexander Valley Vineyards 2015 Zinfandel, Alexander Valley 14.7% (USA) $20.00. 89 • Alexander Valley Vineyards 2016 Estate Grown & Bottled, Chardonnay, Alexander Valley 14% (USA) $18.00. 90 • Alexander Valley Vineyards 2017 Estate, Pinot Noir, Alexander Valley 14% (USA) $34.00. 90 • Alexander Valley Vineyards 2017 Estate, Chardonnay, Alexander Valley 14% (USA) $20.00. 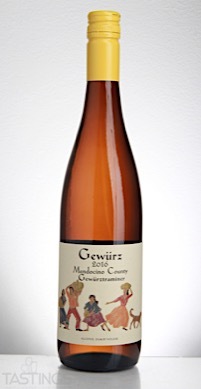 89 • Alexander Valley Vineyards 2018 Gewürz, Gewurztraminer, Mendocino County 13.2% (USA) $15.00. 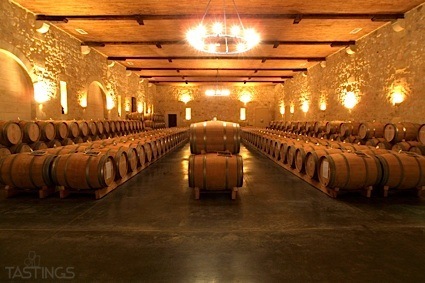 Alexander Valley Vineyards 2016 Gewürz, Gewurztraminer, Mendocino County rating was calculated by tastings.com to be 87 points out of 100 on 5/3/2017. Please note that MSRP may have changed since the date of our review.